Arrogate prepares for the Pegasus World Cup as he trains under his exercise rider on Thursday morning at Gulfstream Park. Credit: Melanie Martines, www.melaniemartines.com. The Pegasus World Cup will take place in two days. Here's all you need to know . . . or at least the basics. What: The Pegasus World Cup is the richest horse race in the world with a purse worth a whopping $12 million. The race has a unique format in which stakeholders paid $1 million for a starting slot in the race and then chose a horse to fill that slot. TV: The race will air live on NBC. TVG Network has plenty of pre-race analysis. Where: Gulfstream Park in Hallandale Beach, FL. Gulfstream Park is a beautiful facility that, in addition to horse racing, includes gaming, shopping, dining and more. You can find Gulfstream Park a few miles north of Miami or at www.gulfstreampark.com. You can also visit the Pegasus World Cup website at www.pegasusworldcup.com. Who: The stars are California Chrome and Arrogate. Chrome is the richest horse in the history of horse racing with more than $14 million in earnings. He's won the Kentucky Derby, the Preakness Stakes and the Dubai World Cup among other races. (Prior to the Pegasus World Cup, the Dubai World Cup had been the richest race in the world). Chrome recently won the Eclipse Award for Horse of the Year. 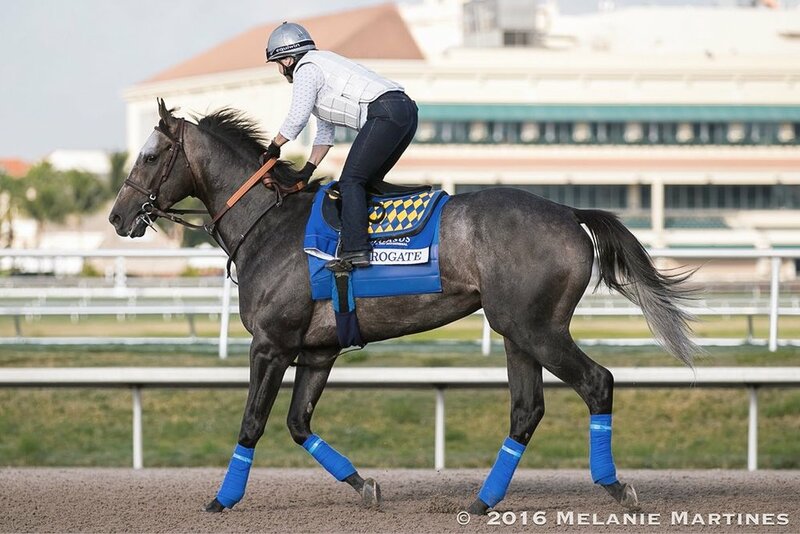 Arrogate, trained by Bob Baffert, is coming off a win in the Breeder's Cup Classic and recently won an international award as the World's Best Racehorse. As a 3-year-old, Arrogate did not run in the Triple Crown races but, later in the year, won the prestigious Travers Stakes at Saratoga Race Course before capturing the Breeder's Cup Classic. Other horses in the race are well-accomplished but not to the level of Chrome and Arrogate. The other starters include Prayer for Relief, Neolithic, Noble Bird, War Story, War Envoy, Shaman Ghost, Semper Fortis, Keen Ice, Breaking Lucky and Eragon. Noteworthy: This race is a rematch between Chrome and Arrogate who faced off in the Breeders' Cup Classic in November. Arrogate won the race by half a length. Sound smart when you say . . . This will be the last race of Chrome's career before he becomes a stud at Taylor Made Farm in Nicholasville, KY where he will demand a stud fee of $40,000. You can learn more about Chrome's future at stud in a previous post on the Bluegrass Blog. In advance of the Pegasus World Cup and California Chrome's ensuing breeding career, Bourbon and Barns interviewed Duncan Taylor, President and CEO of Taylor Made Farm and a co-owner of California Chrome. On January 28, the world will have one last chance to watch horse racing history when California Chrome steps on the track at Gulfstream Park for the Pegasus World Cup. California Chrome, who will enter stud at Taylor Made Farm next month, is the only horse to win the Kentucky Derby, the Preakness Stakes and the Dubai World Cup. These races and four other G1 victories have helped California Chrome amass more than $14 million in earnings, more than any horse in North American history, and a spot in horse racing history. "Anytime you can be the best at anything in the world, that is an amazing feat," said Duncan Taylor, President and CEO of Taylor Made Farm. "Horse racing has been in existence since between 700 BC and 40 BC. To win more than any horse ever is saying a lot." The Pegasus World Cup, a first-time race with a world-leading $12 million purse, presents an opportunity for Chrome to add to his legacy. The race's unique design, in which stakeholders purchased starting slots in the race for $1 million, has brought fans a rematch of the 2016 Breeders Cup Classic between Chrome and Arrogate, the winner by a half-length. Regardless of the outcome of the Pegasus World Cup, Chrome has proved his popularity with racing fans. Taylor Made's gift shop is full of California Chrome apparel and souvenirs, including t-shirts, magnets and even wireless headphones. How would Taylor describe Chrome's popularity? "Over the top. We haven't had this much excitement since Unbridled's Song," Taylor said, referring to the former Breeders Cup Juvenile winner and sire of champions. Chrome, who foaled in 2011, is by Lucky Pulpit and out of the Not for Love mare Love the Chase. Many horse racing greats who have influenced the thoroughbred breed appear in Chrome's pedigree, including sires Mr. Prospector, Seattle Slew, A.P. Indy, Raise a Native, Northern Dancer, Danzig, Buckpasser and the mare Numbered Account. "There have been five Kentucky Derby winners from his female family since 1900," Taylor said. "One of the Derby winners is Swaps. Numbered Account's mother, Intriguing, is by Swaps. So this female family is coming through California Chrome's mother three times. He is a very well bred horse! The Bedouins believed in line breeding females centuries ago. The wisdom has been lost to some extent. The good fortune has come to Perry and Denise Martin, Taylor Made and their partners." Chrome will stand for $40,000 and is expected to cover approximately 150 mares this year. While many top stallions breed in both the northern and southern hemispheres to maximize their value, Taylor said no decision has been made about whether Chrome will shuttle to the southern hemisphere. Chrome will keep a busy schedule, breeding daily at 7:00 a.m., 1:00 p.m. and 5:00 p.m. After the morning breeding, Chrome will go outside to stretch his legs in paddock. Taylor Made's thoughtful design prioritizes the horse's safety, so Chrome will always be in a safe environment. "If we need to leave a stallion outside at night we can bring them in easily if there is a storm," Taylor said. "The way my father Joe designed the facility is that the stallion goes directly from his stall (to the paddock). When the stall door is opened, the stallion goes directly into a pen behind his stall, which is about 100 feet in diameter. There is a gate on the opposite side of the pen from the barn that leads into a five-to-seven-acre field. So the stallion, when being brought in, is always in an enclosed, safe environment from the field to the stall." As California Chrome's racing career ends and his breeding career begins, Taylor feels fortunate to be involved with such a great horse. "To be the person lucky enough to own that horse, well, it is either a blessing or luck. I consider it a blessing from the Lucky Pulpit," Taylor said.